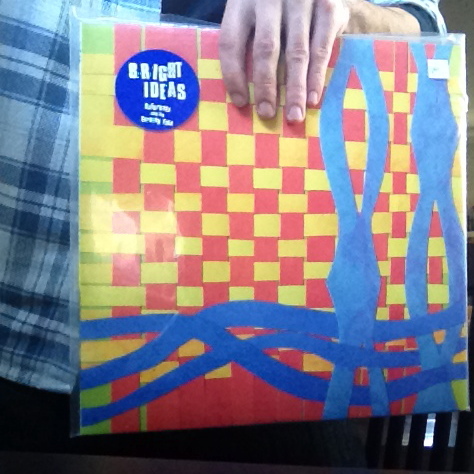 Bright Ideas is killing me right now, and it is a glorious death. I keep flipping the record, all eight (short) tracks of it have made it through my stereo at least three times this morning, and I’m back for a fourth, because I need more party in my face. Scott Miller, Marie Davenport, and Tom White, write the sort of songs you wish you knew the words to, because they need to be sung by a minimum of 15 drunk people all at once. You gonna shine for me tonight? Oh, I’m just getting by. It’s just time it’s in flight. Remember how you used to shine so bright? While the lyric sheet looks at times like it was written with a rhyming dictionary close at hand, I don’t really mind at all. The chord progressions are fun and smart and simple. Lots of major chords. Lots of familiar strum patters and not a lot of play with dynamics. But who has time for dynamics at a party (Do not fool yourself, every track on here belongs on your next party’s iTunes playlist.)? The recording feels live. Or maybe I should say it feels alive. And that’s the greatest strength here. As I’m writing this, Bruno Mars, Rihanna, Drake, Justin Timberlake occupy the billboard top ten. I bought the new JT. Don’t hate. But when every song on the radio is so clean and produced and careful, it makes a recording like this one feel so much more human, authentic, and necessary. There’s a sincerity in the lack of studio antics here, and the lack of refinement. Saturdays and the Turning Tide is a bunch of microphones pointed at a bunch of noisy amplifiers and drums, and a guy (presumably Scott?) singing his little guts out like music is fun again. 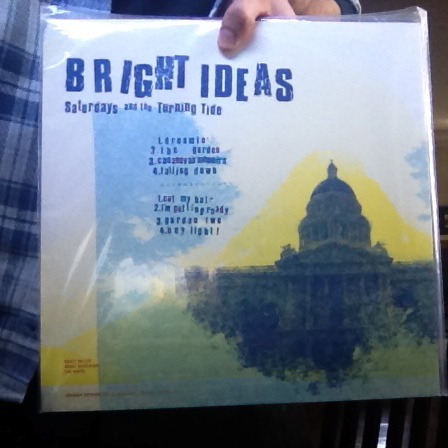 Tags: album, album review, album reviews, Bright Ideas, Bright Ideas album, Bright Ideas band, Bright Ideas music, Marie Davenport, Music, phono, phono select, phono select pick of the month, phono select records, phonoselect, Saturdays and the Turning Tide, Scott Miller, Tom White. Bookmark the permalink. Previous post ← Dirty Reggae Tonight!